Some of the leading scientists have estimated the cost of Hurricane Harvey’s trek through Texas could result in some $160 billion in damage. Homes, businesses and ports suffered serious damage; the rebuilding process could take months, and in some cases, could take years. While many financial, and payment firms have currently stepped up and offered donations to the Red Cross, offered to match donations made by employees, and other efforts. Many payment processors have provided free equipment to businesses to enable them to take payments, reduced fees on donations, and taken other steps to help. Banks and credit unions have also received some guidance to consider waiving bank fees, increasing ATM withdrawal limits, and more. But there may be more the financial community can, and should do to help business owners get back on their feet. As many readers recall, during the financial crisis, homeowners were unable to make mortgage payments in light of increasing interest rates, and slipping home values. Imagine being told you need to continue making your mortgage payment while your home is a cesspool of water, mold, or has no roof. To enable homeowners an opportunity to file insurance claims, get back to work, and rebuild their homes, the major mortgage insurance providers including FNMA, VA and the FHA have stepped up their efforts to help homeowners and property owners. There are various forms of relief available depending on the lender’s willingness to help including temporary foreclosure relief, payment deferments and credit maintenance assistance. These temporary measures may be sufficient for most Texas property owners to claim their insurance and begin the difficult process of rebuilding, or rehabilitating their homes. Lenders who focus on small, medium or large businesses also have a role to play in rebuilding in Texas after Hurricane Harvey. 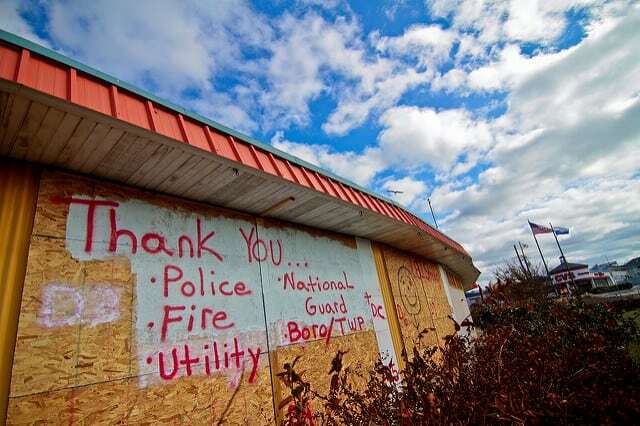 Businesses that were devastated need time to rebuild, get their businesses back on track, and increase their inventory. Businesses in Texas have a lot of work to do from discarding damaged inventory, making structural repairs, and in some cases, helping their employees get back on their feet. Businesses with loans may be asking for forbearance on payments, seeking additional lines of credit to fund needed repairs, and need money to rebuild their inventory. Many offices, and factories suffered extensive damage; there have been some companies that have offered temporary office space to help these businesses get back to work. Modified credit requirements – since many businesses are unable to provide documentation on income, lenders may wish to consider lessening the requirements for obtaining new credit. Businesses can likely get prior years’ tax returns to show their income, but chances are high their documentation for the last 12 months will have been lost. Renegotiation of terms – since businesses will take some time to rebuild and return to full operation, lenders may wish to consider renegotiating loan terms to allow missed payments during the rebuilding period. This type of assistance can make the difference as to whether a business can return to full operation. Expedited processing – the loan process can be time-consuming and one luxury many business owners to not have is time. Money is needed to meet the demands of repairs, help ensure employees, many of whom are rebuilding their lives, are paid on time and that replacement equipment can be purchased as needed. Time is of the essence and lenders who can process loans quickly can help business owners get back on their feet faster. Businesses may see an increased demand for materials, products and services over the next several months as other businesses return to normal operations. However, this means more businesses than ever are going to need access to capital; it is often difficult to meet the demand of clients unless a business has immediate access to cash; it is necessary for every aspect of your business. You are going to need cash to pay employees, obtain raw materials, pay for shipping, etc. This is where Capstone Capital Group may be able to offer assistance to businesses in Texas, and those in Florida who are now facing the same type of devastation Texas faced a few weeks back. We provide a range of products designed to meet the needs of nearly any type of business including trade financing, invoice factoring, construction financing and factoring, etc. During this period of rebuilding, Texas contractors will be assisting in the rebuilding of retail stores, office buildings, warehouses and more. We have specific programs designed to help contractors and sub-contractors get the cash they need in a short period of time. We offer fast approvals, we understand the challenges many businesses are facing during this period of rebuilding and we can help customize a solution that works to meet your needs. If you are business owners, or a contractor in Texas, or any other area devastated by weather-related disasters and you need quick access to capital, contact Capstone Capital Group today and let us see if we can help you get back on a sound financial footing.